Much of this wood is as structurally solid as the day it was milled. 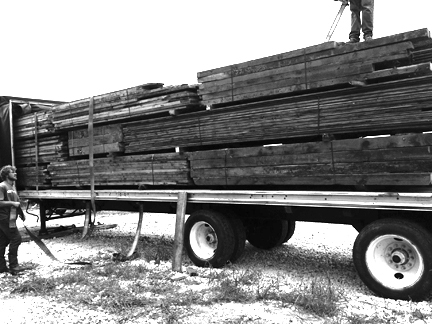 Most of the wood reclaimed is considered “old growth” lumber. Many designers prefer the imperfections, the history, and the overall vintage aura that reclaimed lumber displays in its purest form. 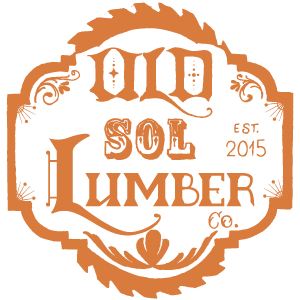 What is “old growth” lumber? Old growth refers to lumber harvested from trees that grew slowly in the dense forests of native America. Distinguishable when cut, the growth rings on true old growth lumber are noticeably tighter than that found on the same species of lumber available today. In addition to being cut from old growth forests, reclaimed barn wood has a look that simply cannot be synthesized. From the method of milling to years of exposure and every day wear-and-tear, each piece of wood develops a patina unique to that piece. And finally, we reclaim these materials with hopes of them once again becoming objects of function and beauty. We find tremendous value in not just the material and history, but in the continued tradition of resourcefulness. This is why we reclaim. For more information on preventative lumber destruction, please read this article.